When I think of Christmas & December, my mind instantly goes to gingerbread! There's just something about enjoying comforting ginger during the cold days! Cookies, chocolate, cheesecake = the best sounding treat EVER! 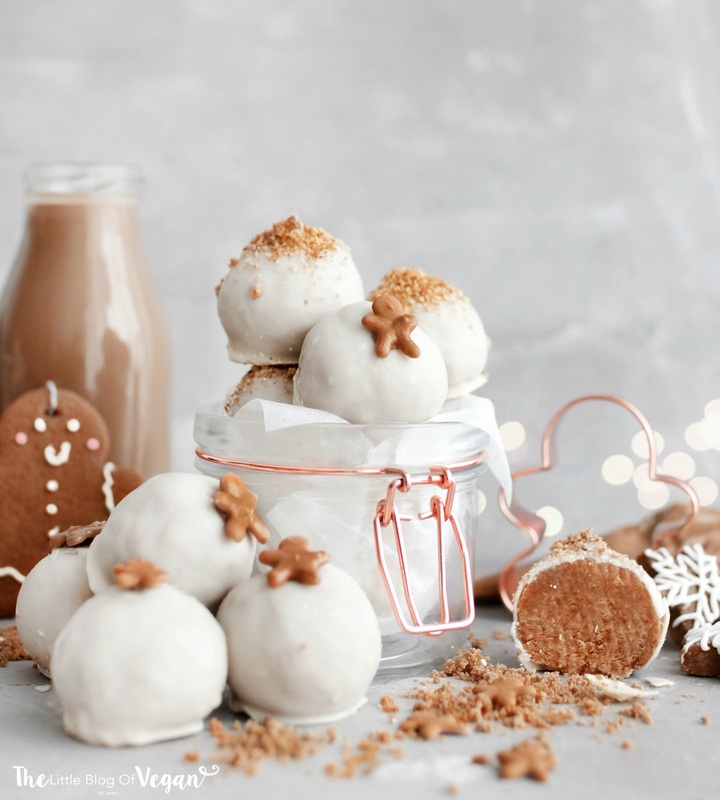 These truffles are a gingerbread cheesecake filling, coated with dairy-free white chocolate with cookie crumb & royal icing gingerbread decorations. They look adorable and taste scrumptious! 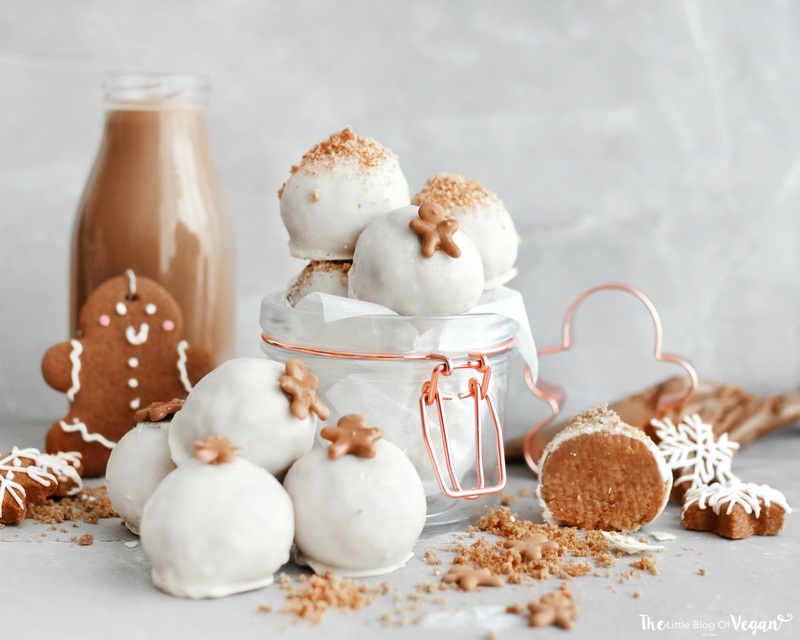 Truffles are delicious all year round but gingerbread is comforting and indulgent, perfect wrapped in chocolate! 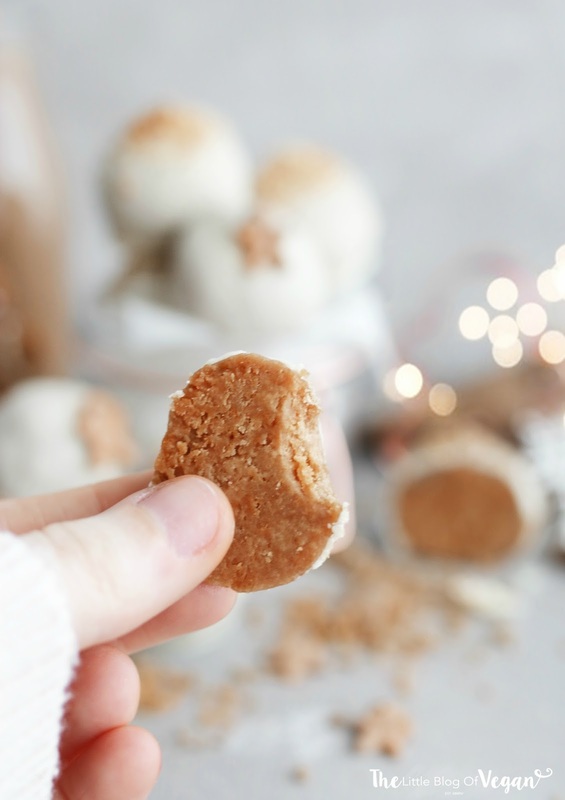 They're a real treat and would even be lovely boxed as an edible, festive gift! The filling is smooth and the chocolate gives them an extra layer of flavour! I added on a homemade royal icing gingerbread man which is just the most adorable thing I've ever seen and they're super easy to make! Check out my royal icing recipe here. Step 2- Place the ginger cookies into a food processor/blender and whizz up until crumb-like. If you don't have a blender, pop the cookies into a plastic bag, cover with a tea towel and crush with a rolling pin. Step 3- Place the crushed cookies into a bowl and add in the cream cheese. Step 4- Mix the cookies and cream cheese together until you have a smooth mixture. Step 5- Using clean hands, form the mixture into small balls and place onto the lined baking tray. Repeat for all of the mixture. Step 6- Place the tray into the freezer whilst you melt the chocolate along with the coconut oil. Step 7- Remove the truffles from the freezer, stick a cocktail stick into the balls then dip them into the melted chocolate, twisting to coat. Step 8- Gently tap the truffle on the side of the bowl to remove any excess chocolate then immediately place the truffle back onto the tray. Repeat for all of the truffles. TIP- You need to decorate the truffles whilst the chocolate is still wet. I sprinkled on some crushed cookies and stuck on little royal icing gingerbread men. Get my royal icing recipe here. Step 9- Remove the cocktail stick and place the truffles back into the freezer for 30 minutes to set. Store the truffles in a sealed container in the fridge and best eaten within a few days! YUM! These truffles look amazing!